Anterior cruciate ligament (ACL) injuries are some of the most common injuries that athletes experience. Even professional athletes like women’s soccer champion Alex Morgan and Broncos cornerback Chris Harris, Jr. have struggled to recover from torn ACLs. Whether you’re a recreational athlete or someone whose hoping to go pro, it pays to know how to prevent and treat an ACL injury. Read on to learn more about this injury and what you can do to avoid being sidelined by it. 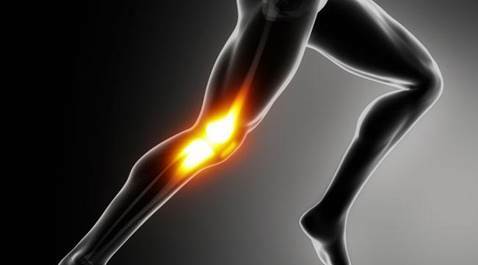 The anterior cruciate ligament is a major stabilizing and supporting ligament in the knee. It’s responsible for connecting the femur (thigh bone) and tibia (shin bone). The ligament is located in the front of the knee, right above the top of the shin bone and behind the patella (kneecap). An ACL injury is technically a type of sprain. As with other types of sprains, there are grades of a sprained knee that determine how serious the injury is. Almost any athlete can suffer from an ACL injury, but athletes who do a lot of jumping or have to stop and/or change directions suddenly are more likely to experience damage to their ACL. Basketball players, soccer players, tennis players, downhill skiers, volleyball players, and gymnasts tend to experience the greatest number of ACL injuries.